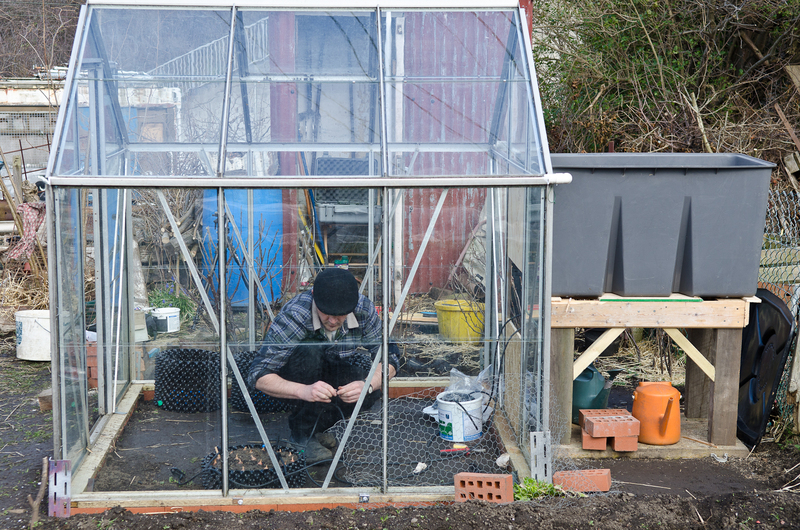 The new greenhouse has been built at the allotment & the plan is to have it full of chillies, peppers, tomatoes, aubergines, cucumber & maybe a melon by the summer. Everything will be grown in Air-Pot containers to maximise yield from what is a very small greenhouse 6′ x 6′ (1.8 x 1.8m). The root system which develops in an Air-Pot is very dense so it is crucial to keep the pots well watered. A big vine tomato on a hot day really needs to be watered twice if relying on a watering can. I cannot manage twice daily visits to the plot so have set up a drip irrigation system. This should mean the greenhouse will be self watering for at least a few days. 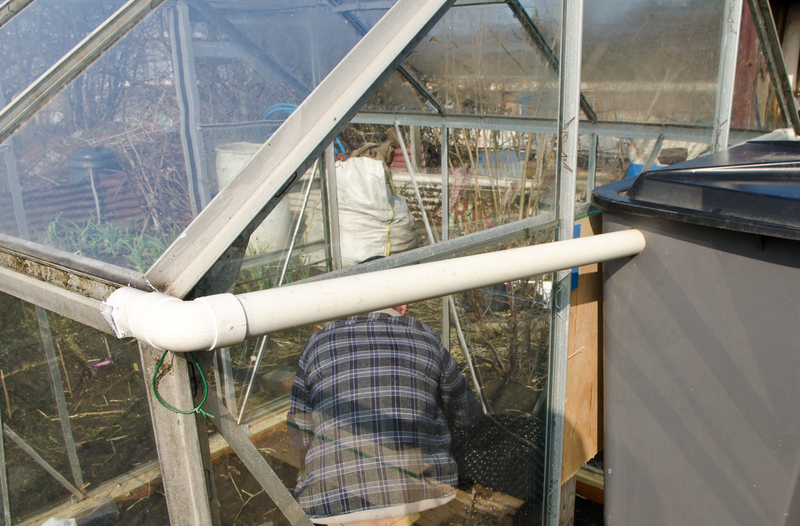 I have set up a water tank next to the greenhouse connected to the gutters, so it will fill with rainwater, with the fall back of using a hose if there is a prolonged dry spell. The tank I used is a salvaged cold water storage tank, the type that used to be in every loft but often goes in the skip when new systems are installed. 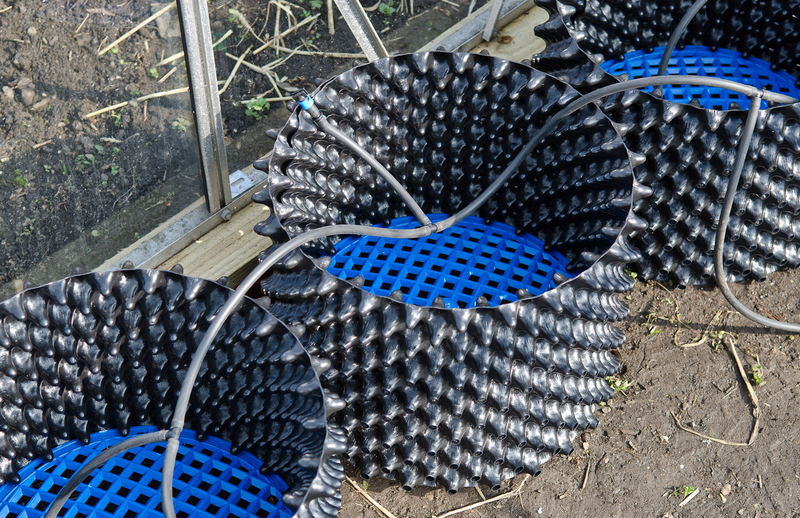 It holds 50 gallons, sits on a platform and creates a head of pressure to feed the water lines to the plants. I bought a 30 plant kit from www.tankfedirrigation.com, which is one of the few gravity fed systems. It seems to be pretty high quality & should last 10 years, about the same as an Air-Pot. 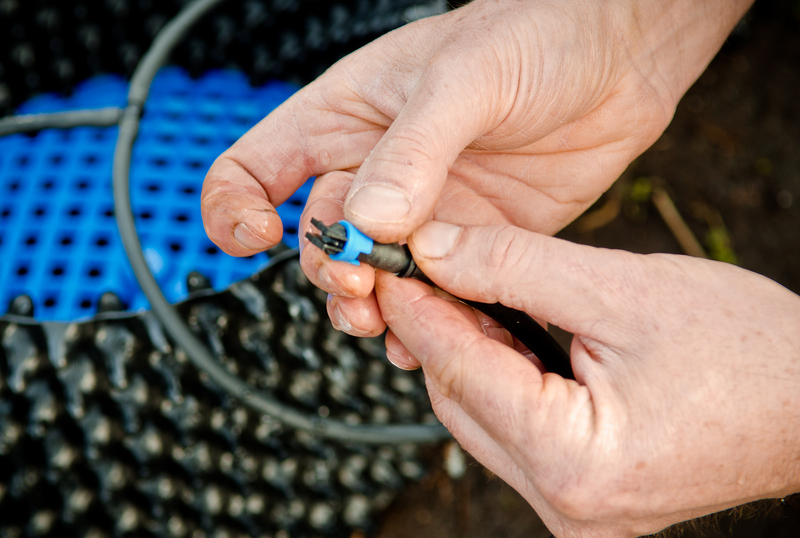 A good feature is the adjustable water emitters which can be easily unblocked if required. The kit came with good instructions, the initial set up was straightforward & everything worked with no leaks, which is unusual for any plumbing job in my experience. I expect to have around 15 pots in this greenhouse, each with 2 water emitters. I am sure there will be a fair amount of fine tuning to get the right amount of water where it is needed. It would be nice to know that if I am away for 3 or 4 days in the summer my plants will not go thirsty, & during longer absences if a kindly neighbour is prepared to water at least they will only need to top up the tank occasionally.